On the south-western side of the capital city Harare, lies one of Zimbabwe’s oldest suburbs, Highfield, whose name was derived from Highfield Farm on which it stands. The sprawling high- density suburb which was established way back in 1935, is endowed with a rich history that stretches from arts, sport, and politics to business, health and many others. Fiyo, as it came to be known became a symbol of resistance against the white minority rule in the 60s and 70s, right up to the time of independence. The suburb became a hub of several significant political movements including the formation of ZANU in 1963 at the home of the late nationalist Enos Nkala. Their activities in conjunction with those led by ZAPU under Dr. Joshua Nkomo gave birth to independent Zimbabwe in 1980. With uprisings predominantly in Fiyo and other populous townships such as Mbare and Makokoba in Bulawayo; where nationalist movements fed up with Ian Smith’s colonial rule launched their fight against colonialism. To add to its historic significance, Fiyo is home to a number of prominent people as it has been a cradle of immense talent, cutting across academia, business, arts, and sport. Among the finest to emerge from Highfield was the great Oliver Mtukudzi, born September 22, 1952. Born and bred in Fiyo myself, I was privileged to know this towering, lanky musician with a distinctive husky voice in the early years of his musical career. I came to know “Tuku”, as the multitudes of his fans would later call him, through a childhood friend- Tafadzwa Mazarura, when I was at Tsungai Primary School. Tuku and Tafadzwa were cousins and it is through him that I too became close to Tuku and remained so until January 23, 2019, when he lost his battle to diabetes. As youngsters growing up in Fiyo, Mukoma Oliver, as we affectionately called him was a Godsend, always there for us as a mentor and inspiration, encouraging us to pursue our chosen career paths. We looked up to him, and the likes of Albert Nhau, Nigel Munyati, Professor Matenga, Freeman Kembo, Nigel Chanakira, Willard Zireva and Paul Mkondo (now late) to name but a few as big brothers who we could rely on for guidance and inspiration. These fine men were trailblazers in their respective fields, offering a helping hand and advice when we needed them. Being around such greatness and seeing the men they evolved into, inspired in us a burning desire that God willing, one day we too would get our breakthroughs and just like them achieve our dreams. It was from these great men and others that I got the inspiration to start Nyaradzo Group, whose funeral services subsidiary handled Mukoma Oliver’s funeral. To this day, I still have fond memories of Tuku’s unending love for his family, community, and his country at large. His charity work started at home, spreading into communities across Zimbabwe and beyond our borders. For those of us who grew up in Highfield, he was always just a phone call away, even long after he had relocated from Fiyo. Despite the distance, Mukoma Oliver’s heart was always invested in events happening in Highfield as well as those as a far afield as his home village of Madziwa, offering a helping hand when called to. I recall in one of his many acts of generosity, Tuku came to our rescue at St. Marks United Methodist Church in the early 1990s when he worked with another one of his cousins Tanyaradzwa Mazarura, and his friend Munyaradzi Chatikobo, both members of the United Methodist Youth Fellowship to produce our Junior Church Album “Don't Die”. The album was a brilliant piece of genius that Oliver directed, managed and produced for free to help raise money for the Junior Church. His generosity did not come as a result of being our church member but as a reflection of his good heart, which pushed him to touch many lives. His four-decade musical history bears testimony to a career well executed, distinguishing him from many musicians in Zimbabwe and abroad as a global icon. In recognition of his renowned exploits in the arts sector, the United Nations International Children’s Emergency Fund (UNICEF) appointed him as the Regional Goodwill Ambassador for Eastern and Southern Africa, focusing on young people's development, and HIV and AIDS prevention. The recognition was admirable and befitting to Tuku as it recognized his humility and heart as a true champion of children’s rights. His appealing voice, captivating guitar rhythms, and superb dance moves made his live performances a one of a kind enthralling experience. His music was about fighting for justice and raising awareness of social issues affecting people on a daily basis, particularly around poverty and the stigma associated with HIV and AIDS. The combination of these attributes made Tuku a global performer par excellence, signified by him doing a number of tours around the world to places such as the United Kingdom, Germany, Italy, United States and Canada where he performed before large audiences. Mukoma’s passing has brought tremendous sorrow to the entire Mtukudzi family, his wife Daisy, the arts industry, Zimbabwe and the world at large. This pain runs deep as we all come together in prayer and mourning on the passing of Mukoma Oliver, a true musical genius whose memory and music will live on for decades to come. Maiguru Daisy, we thank you for being by his side every step of the way. In your hands Maiguru, Tuku has bequeathed a rich legacy – an inspiration to us all. May you please keep the flame alive as your heart and soul find peace and comfort. It hurts that in 2010 we tragically lost Sam and his friend. Before our hearts could heal, God has called Oliver to be with Him, leaving us poorer and even more emotionally wrecked. In our devastation, it seems the heavens are rejoicing at our ultimate expense. Where do we find solace? I guess such is life. 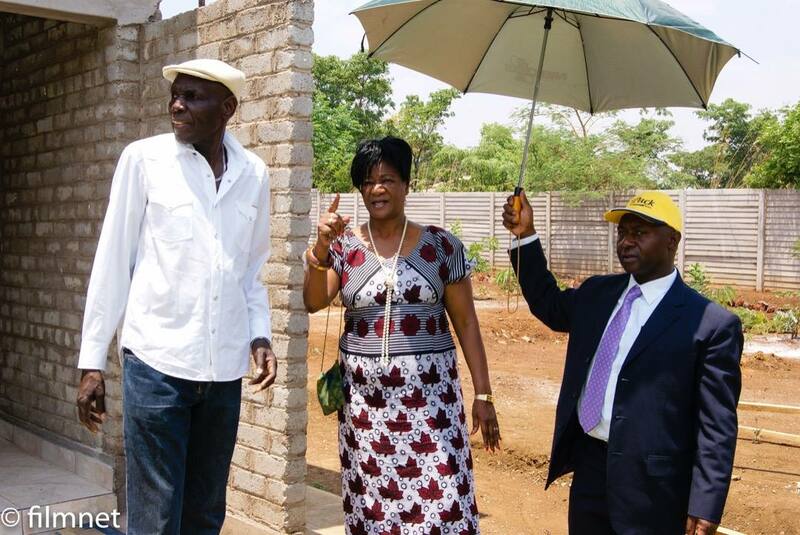 Simply put, Tuku was a man of the people. His genuine love for his family, friends, colleagues, fans, and countrymen was so evident that no-one could ever claim ownership of him. My heart was warmed by the diversity and multitude of mourners who poured in to express their condolences at his modest Norton home, at the Pakare Paye Arts Centre and the National Sports Stadium all magnifying his love and influence. 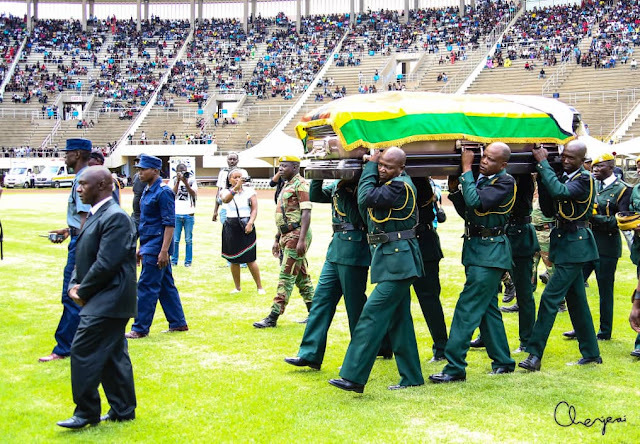 The wondrous and mind-blowing cortege that also descended on the sleepy rural area of Madziwa in Mashonaland Central to pay their last respects to Tuku on January 27, 2019 bears testimony to the fact that he indeed was one of Zimbabwe’s finest sons of the soil. Politicians from across the political divide, business people, civil society leaders, diplomats, academia and students were there to join Mtukudzi’ s compatriots in the arts sector to mourn the passing of Samanyanga – his totem – as his life and music were celebrated. To top it all up, in the greatest honour of his legacy, the status of national hero was accorded to him by the government of Zimbabwe, making him the first musician to receive that honour. In celebration of Tuku’s life, it is pleasing to note that the Harare City Council (HCC) has borrowed a page from Norton Town Council (NTC) book by naming Willowvale Road after Tuku whose life was cut short at the age of 66, ironically with 66 albums to his name. NTC had long named the road to Tuku’s residence after the musician in honour of his contribution to the town and country. 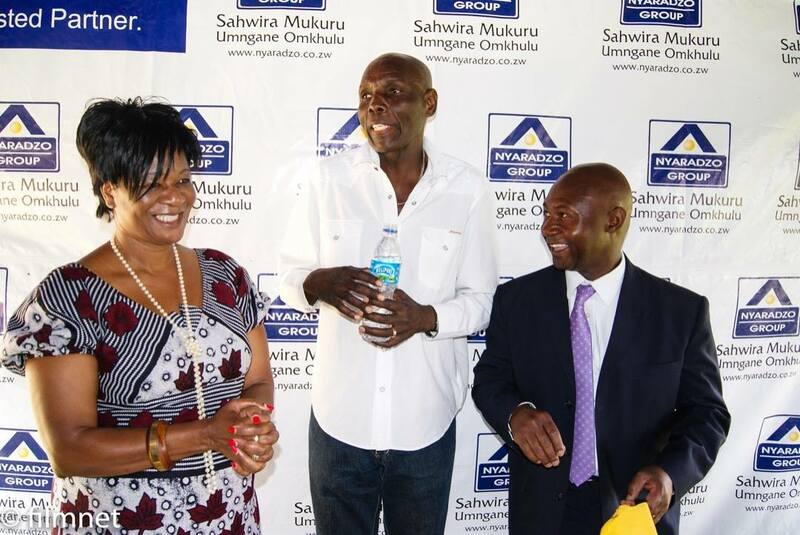 For us at Nyaradzo, Tuku's Chapel service was done at our Willowvale Road branch which took its name from the road. Now that the road has been renamed to Oliver Mtukudzi Road, it follows that our branch will from now on be known as Oliver Mtukudzi Road branch, isn’t that amazing? It is both an honour and privilege to us. It was Maiguru Daisy and the Mtukudzi family that chose Willowvale service centre as the venue of his Chapel service ahead of our Hebert Chitepo avenue branch due to its location, a stone's throw away from Highfield where he was born and bred. Thirty-nine years after our independence, in his death, Mukoma Tuku becomes the first National Hero to be laid to rest with full services provided by Nyaradzo Funeral Services. Given the many years of our friendship and brotherhood in which I was privileged to tap into his wisdom, inspiration and rare talent I could not delegate the undertaking duties to our staff. Sorry, guys if you felt short-changed or hard done. For me personally, it was time to honour another of the unwritten contracts between brothers. I must admit though that it was not easy, I felt like an undertaker son presiding over the burial of his father. Tuku had a unique relationship with Nyaradzo, built on our firm foundation of friendship, brotherly love and mutual respect dating back to our days as boys’ dzeku Fiyo. On many occasions, Tuku performed at Nyaradzo Group corporate functions, with his last performance being in 2016 when we celebrated our 15th anniversary at Mudziyashe Lodge in Glen Lorne. At a deeper level, Tuku and I shared a very strong passion for the environment. Wherever he found an open space, Tuku would plant trees. 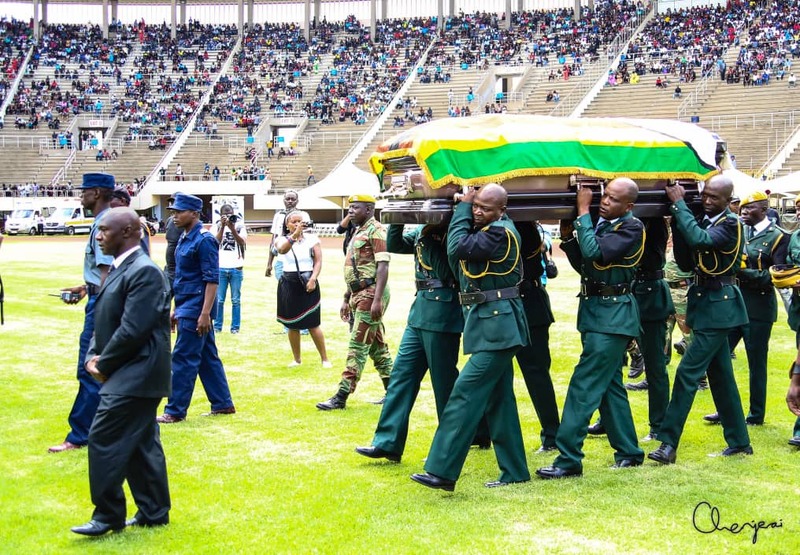 For those who went to pay their last respects at his homestead in Norton, they would have seen the many trees him and Maiguru Daisy have planted and preserved over the years. It was however at his Pakare Paya arts centre that our passion in matters environment found expression as we took time out on his 60th birthday to plant a good number of the trees that make the place look like a semi-forest today. Death has robbed us of Mukoma Oliver, who knew that you would be gone so soon when we had started talking about producing and launching a musical album to promote environmental awareness. Nonetheless, be comforted Samanyanga knowing that the project will be realized and dedicated in your honour. It’s a promise I will keep.